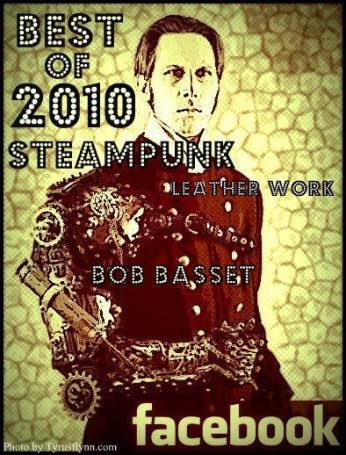 Steampunk, Facebook’s largest steampunk-themed group, bestowed The Best of 2010 Steampunk Facebook Award on leather designs by Bob Basset. According to the organizers, The Best of 2010 Steampunk Facebook Award is granted to artists and other creators “whose works shine the brightest,” as well as those who have achieved worldwide recognition in the Steampunk community through years of work. Since 2010 is the first time the Awards were granted, the jury looked at works from the entire past decade.